I believe every homeowner should be able to patch a hole in drywall, install a ceiling fan and stop a running toilet. If self-reliance and resourcefulness aren’t Southern traits I don’t know what are. My two-week battle with a running toilet tested my convictions in ways that both surprised and infuriated me. It all started with a stuck flapper. The upstairs commode used primarily by our three boys would run because the flapper would somehow become stuck in the upright position, allowing water to flow ad infinitum from the tank into the bowl. In addition to an inflated water bill, this relatively minor nuisance also produced one or two incidents of overflowing the bowl when one of our dear offspring clogged it. After several weeks of having to remove the lid and push the flapper back into place, I finally committed to making what I knew from experience to be a simple and inexpensive repair. FAIL! 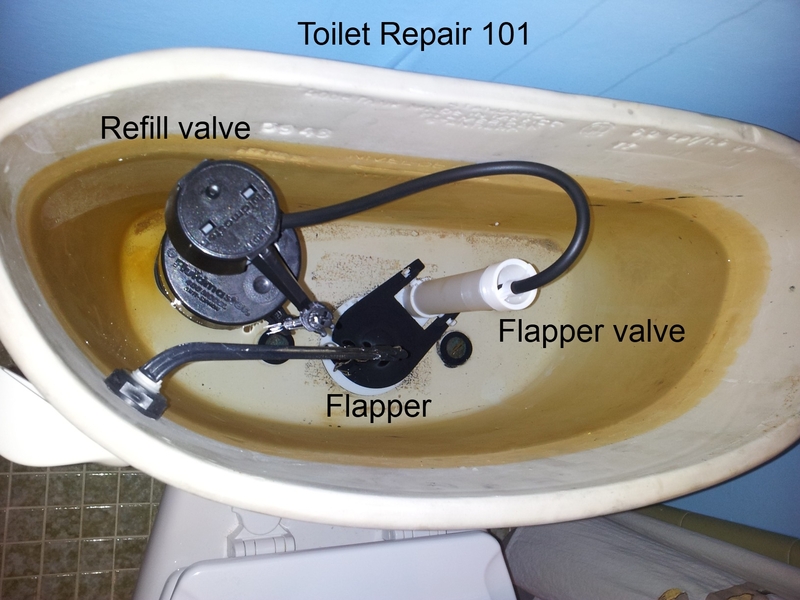 Do not attempt to install a Mansfield flapper valve on an American Standard toilet. I believe the technical problem is, as my plumber told me, "It don't work." I stopped into Home Depot, headed for the toilet plumbing aisle and was reaching for the $2.98 rubber flapper when I was engaged by an under-utilized employee, eager to help. The orange-aproned gentlemen announced he was a plumber by trade and insisted I purchase a top-of-the-line, Mansfield flapper valve and not just the flapper itself. This device, which I had never seen before, was $8.98. Still inexpensive enough not to raise any alarms, I was taken in by his expertise. He then proceeded to explain the wonders of the pressure valve and asked if I had ever tested my home’s water pressure. Naturally, if one doesn’t know one’s water pressure, one cannot begin to work on a toilet. So I added a $20 water pressure gauge to my nearly $10 flapper. As I scanned my items at the do-it-yourself checkout lane, my certainty and pride at addressing root causes rather than just surface symptoms began to wane. Doubt crept into my mind as I walked slowly to my car, studying the packaging on the two items. First, I realized that I had been talked into spending 10-times what I had intended. Second, I discovered that to install this “best flapper valve in the world,” I would have to remove the tank. Hindsight is 20/20, they say, and I should have stopped right there, turned around and exchanged my purchases for a $3 flapper that would have fixed my known problem. But I didn’t. Good ol’ Southern self-reliance, remember? No, instead, I spent the next two hours wrestling my toilet. After I finally got the old flapper valve out and the new one installed and tank reattached, I turned the water back on to the tank and proceeded to clean up the mess. That’s when I heard it: the first shot in the uncivil war between me and that toilet. The refill valve kicked on for a few seconds and then fell silent. I suspiciously eyed the toilet and decided it was just adjusting to the new valve. After two weeks of the toilet sporadically running for a few seconds every three or four minutes and my changing the level of the refill valve float dozens of times, I finally decided it was more than an adjustment period that was the problem. I attached the water pressure gauge to the spigot at the back of the house. The Home Depot expert had informed me that a household pressure should be between 40 and 80 PSI. I left the gage attached for 12 hours to allow for any pressure fluctuations. It topped out at 120 PSI. I reluctantly returned to the scene of my first debacle and detached the tank again and started the process over. With my laptop on the vanity showing the “how to stop a running toilet” video, I checked every possible cause of the problem. Finding no obvious mistakes in my handiwork, I reattached the tank and discovered a new problem. Not only was the toilet still running every few minutes, it was now leaking. At the pinnacle of frustration and depth of despair I sought the phone number of our neighborhood plumber. The cloud of failure overtook my mood, and what started out so well was now headed into the dreaded contractor zone – all because of a $3 flapper. This is my toilet tank, conveniently labeled for all you do-it-yourselfers and arm-chair plumbers to marvel at. This is how it looks after someone who knows what they are doing has fixed it. A few days later, our plumber friend came over and had our toilet working properly in less than an hour. As it turned out, the “world’s best flapper valve” only works on toilets made by that manufacturer. He replaced the refill valve, which was also damaged in my repairs, and we were back in business. The tank looked exactly as it would have if I had simply replaced the flapper as I had originally intended. But the not-so-helpful Home Depot helper was right about my water pressure. Our plumber told us that Lilburn runs its water pressure higher than most municipalities, and he gets a lot of business in the area replacing home water pressure valves. Failure to address this problem, which is not something undertaken by even an ambitious do-it-yourselfer, leads to much more costly failures such as the hot water heater, faucets and even washing machines and dish washers. All told our bill was about $400, roughly half of what it would have been were not for our friend’s aggressive discounting. So what life application could I derive from this encounter? I amended my credo about what home projects everyone should know how to do. I now believe every homeowner should have the phone number of a good drywall contractor, electrician and plumber. Your mental health is worth something. Can you tell a similar tale about a household project gone wrong? Are you still kicking yourself for turning something simple into a complete mess? Share your story by leaving a comment below. It’s therapeutic! This entry was posted in Uncategorized and tagged commode, contemporary South, DIY, do-it-yourself, flapper, Home Depot, how to fix a toilet, Lance Elliott Wallace, Lance Wallace, Lilburn, New South, New South Essays, NewSouth, plumbing, PSI, refill, repair, resourcefulness, running toilet, self-reliance, South, Southern, Southern Culture, Southern Living, Southern traits, Southerners, the South, toilet, valve, water pressure. Bookmark the permalink. I’m having a “toilet won’t stop filling” issue and don’t have a regular flapper it has this flapper valve which is a PITA to figure out as the red rubber has come loose on mine.